Buddy Holly (age 22), Ritchie Valens (just 17) and J.P. “The Big Bopper” Richardson (28) were killed 51(!) years ago tonight when their chartered plane crashed into a corn field during a snowstorm outside Clear Lake, Iowa. They were headed from one show to the next in a multi-act, “barnstorming” tour of the Midwest - a typical schedule for pop artists in those days. 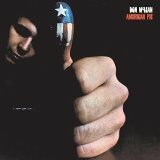 Don McLean’s 1971 folk-pop opus, “American Pie,” (click here for download or purchase) forever immortalized the event, which erased two early rock ‘n’ roll stars (Holly and Richardson) and a promising young talent (Valens had just released “Donna” and “La Bamba” and was the first Hispanic rock star of any note). 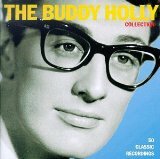 Click here for my playlist of 15 top Buddy Holly tracks for download from iTunes. On Amazon, a reasonably priced, basic collection of his Greatest Hits is also available, as are single, DRM-free mp3 downloads further down on that page (click here).